5. Practice the 5 E’s – This is a model that allows for some teacher explanation, only after some student exploration and inquiry. After-all some concepts do need an engaging teacher lecture to encourage understanding. You will find the 5 E’s below in this included link from NASA along with further explaination. 6. Include a Genious Hour – Teachers across the country are finding ways to put that Google 20% in their classroom, while still supporting standards and 21st-century skills. This Genious Hour site might just help you get started in providing students the opportunity to learn how to learn, while practicing self-regulation. Best of all, it supports that important voice and choice along with spiraling inquiry! It really encourages that important Maker’s Culture. 9. 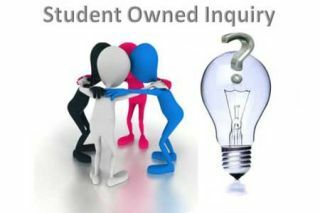 Incorporate PBL – Project Based Learning is a wonderful approach providing students with ownership in their inquiry and learning. Not only that, their final answer after many questions provides authenticity and can make a real world difference. To learn more about Project Based Learning a visit to the BUCK Institute (BIE) is must journey. As a member of the BIE National Faculty, I am sure you will find a wealth of resources, research, and ideas!